Another year has gone by, and another year’s worth of games have been released. Though the world seems to burning down around us in the year 2017, there is no denying that this has been one of the best years in gaming for a long time. So many high quality games of varying budgets and prices have been released that even the most obsessive gamers (like me) had a hard time keeping up. It seemed like every week there was something new and exciting to play. This was the game that finally convinced me to break down and buy a Nintendo Switch for myself. Along with a few of the other games on this list, Odyssey highlights a return to form for the platforming genre many people had thought dying or dead for years. Personally, I was surprised at how much I has missed playing a classic Mario game despite not having played one in years, since my cousin let me play on his Nintendo 64. 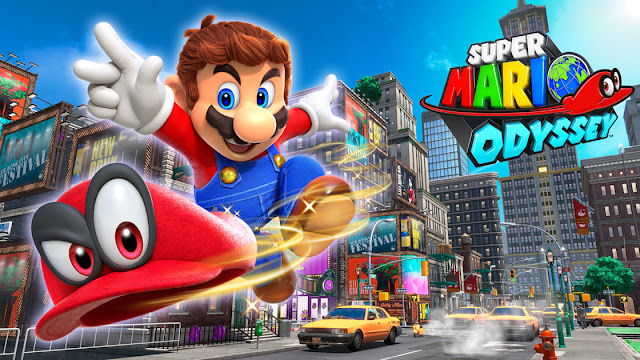 Super Mario Odyssey was nothing less than a delight to play. From start to finish, I constantly had a smile on my face while exploring each kingdom for every single moon I could find. Even after I acquired enough moons to move onto the next kingdom, I always stuck around just to see what else I could find. Though Nintendo is often said to design video games in a vacuum, this is also clearly a more modern take on a Mario game, with many old game design principals getting kicked out (like lives) in favor of ideas more fitting for the game’s theme of adventure (like moderately-sized but densely packed and open level design). Out of all of the western, isometric RPGs I have ever played in my life, Planescape: Torment occupies a special place in my heart as one of the best. Though I missed the initial Kickstarter, I was more than eager to play it’s spiritual successor when it came out, and I was not disappointed. 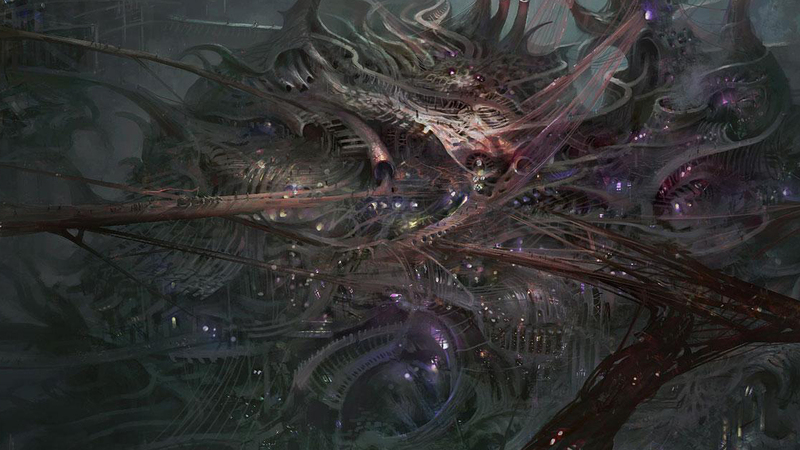 Set in one the most bizarre, yet compelling settings I’ve seen in the post-apocalyptic Ninth World of Numenera, the new Torment builds on its predecessor thematically, using similar ideas without falling into the trap of repeating the same plot of the old game. It also made the bold, but ultimately correct choice to abandon the abysmal real time with pause combat system seen it the like of Baldur’s Gate in favor of purely turn-based “crisis resolution”. While the game does very nicely resolve, I would welcome another tale of this nature by InXile. Do you actually need me to explain to you why Playerunknown’s Battlegrounds is worth mentioning in a yearly-retrospective? 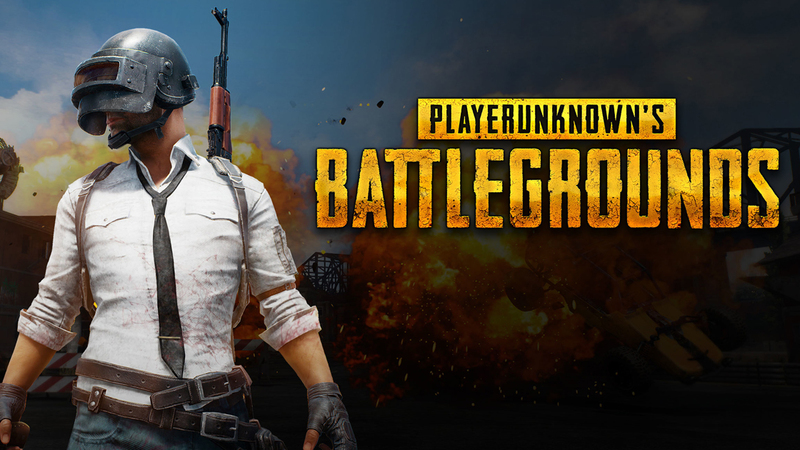 As a strong middle ground between the hyper-realistic military sims like ARMA and more casual multiplayer shooter fare, PUBG (pronounced puh-buh-guh) has appealed to so many people that it’s become an institution on its own. In my own friend group, it was pretty common for us to get together for an hour or two of PUBG at least once a week for several months. Even once I tapered off, I still found myself thinking about it from time to time, thinking if it was time to go another round. It fixes many of the problems the plague the military sim genre with some very creative solutions. The ever-shrinking circle accelerates the games pace so that matches don’t last long, growing increasingly lethal until one contestant on Murder Island wins the coveted chicken dinner. There are also so many different ways one can enjoy a run of PUBG and have a good time, if not win. One can go in guns-blazing, find a relative safe place to hide and loot, or engage in some elaborate military-theme role playing. All are perfectly valid and welcome in the realm of PUBG, which is partially why it is so successful despite still being Early Access as of the time of writing. I have been in love with the Dishonored franchise ever since I saw the first trailer for the original game. I love the freedom the series has always provided to approach any given scenario in the way I want to. That said, I always “defaulted” to stealth/non-lethal, using not much more than the movement powers, since that’s really all one “needs”. While I would certainly play in other ways in subsequently playthrough, that was the one I always fell back on because of how much I disliked the “High Chaos” endings players would get for excessively killing enemies. It wasn’t until Death of the Outsider that I realized how restrictively my playstyle was. Though protagonist Billie Lurk only has three powers (albeit three very good powers), the game abandons mana potions in favor of a quickly regenerating mana bar. 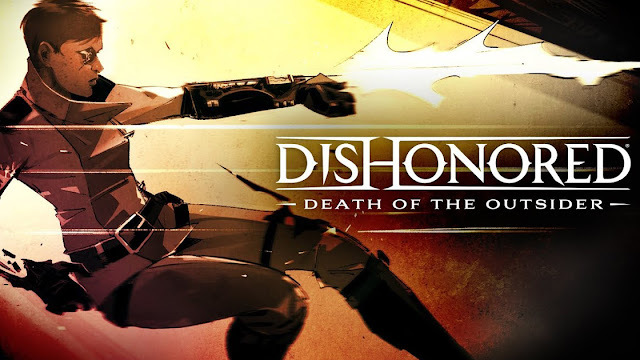 This alone gave me a much stronger incentive to use my powers than any of the previous Dishonored games ever did, and I had a greater experience for it. On top of that, removing the “Chaos” system that previous entries used to judge player actions meant that I no longer kicked myself if someone has accidentally killed, or if I got caught and need to fight my out of a mess I had made. Special mention also goes out to the bank heist mission, which serves to cement Dishonored’s place as Thief’s successor. That level alone contains so many possibilities and alternative routes that it’s easily one of my favorite video game levels this year. My adoration for the Persona series is well documented on this blog, and this latest entry is no exception. Ignoring the fact that its central theme of rebelling against corrupt authority is… particularly poignant/relevant in 2017, the story and characters spoke to me in a very real way. 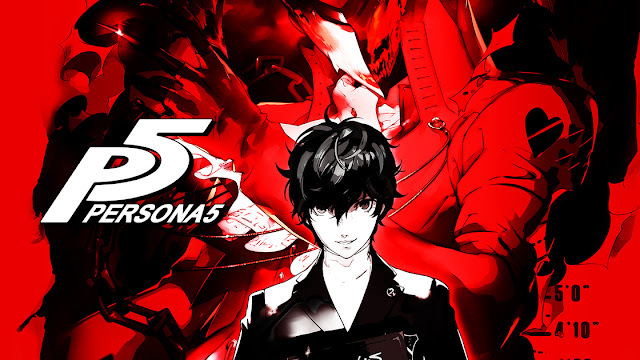 Each of the main characters has a strong reason for “rebelling against society,” joining the Phantom Thieves. Together, I just couldn’t get enough. Persona 5 also improves on the classic Persona formula in a lot of simple, but very smart ways. The UI improvements are slick, responsive, and make battles more fun to control. There were quality of life changes as well, like the assist feature that lets players auto-target weaknesses they’ve already uncovered. Atlus also improved the Social Links (now called Confidants) by giving each of them a passive benefit aside from its max rank rewards. Holding the distinction of being one of the few games I replayed this year (no small feat since the game is 100+ hours long), Persona 5 was definitely an excellent RPG. 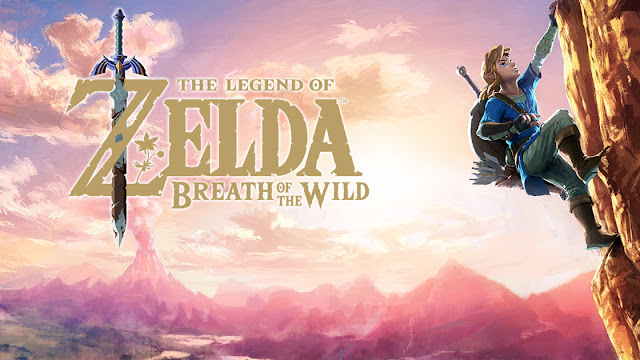 As of the time of writing, I have not yet finished my playthrough of Breath of the Wild. However, I have completed 2 of the games 4 Divine Beasts and feel comfortable enough in my opinion to make this judgement. Though my experience with the Zelda franchise is limited, Breath of the Wild is my favorite thus far. More than anything, it embodies a sense of exploration and discovery few games do. I’ve had a blast just exploring the open world looking for shrines and korak seeds. More than that though, BotW also has one of the most interesting worlds and stories of the Zelda games I have played. I’ve found myself much more invested in this tale than I have in those of previous Zelda games. Even now, I look forward to finding the rest of the lost memories, and getting an many shrines and seeds as I can. The Uncharted franchise has always been, for me, that old standby that I can trust to give me a good time. Over the years, I have grown fond of the cast of characters, always eager to join them on their next expedition. Lost Legacy provided me that kind of video game comfort food that I was in the mood for at the time it came out. But even in that space, Lost Legacy did two things that help it stick out from other Uncharted games. First, it removed Nathan Drake from the equation, letting Chloe Frazer from Among Thieves and Nadine Ross from A Thief’s End take center stage. Watching their friendship grow over the course the game made a strong case for shorter, more distilled Uncharted games that focus on other supporting characters. 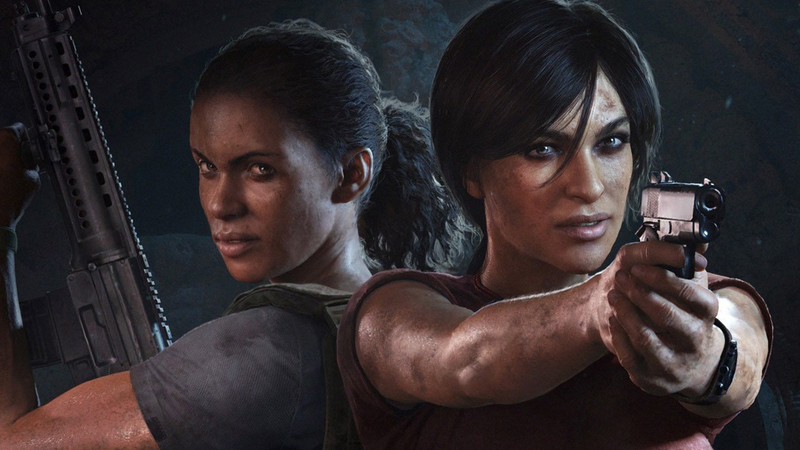 That, and the open world section in Chapter 4, show that Naughty Dog is still willing to experiment with one of its flagship franchises, making Lost Legacy a stronger game for it. That extra year off did wonders for the Assassin’s Creed series. 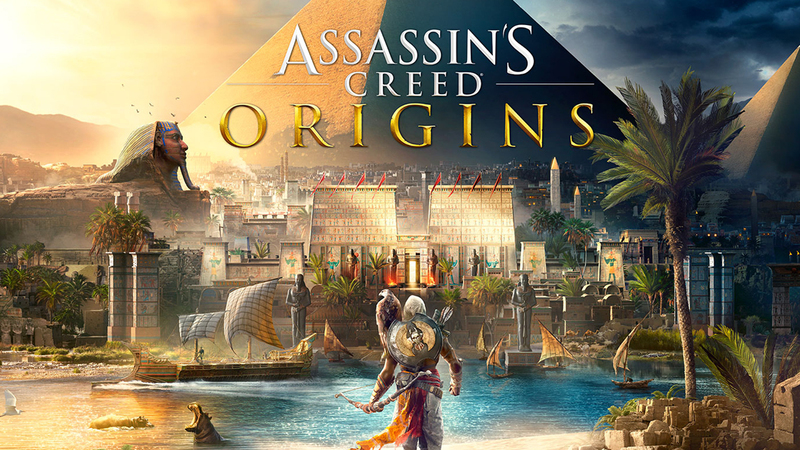 Origins is a new, fresh take on a franchise many were afraid had grown stagnant. Now, I’ve always been a fan of Assassin’s Creed (except that one), but even I was starting to get tired of them. Fortunately, Origins is a welcome breath of fresh air for the series. Eschewing a lot of the traditional Assassin’s Creed mechanics, Origins takes trappings from many games, including Witcher 3, Dark Souls, and Ubisoft’s own Far Cry franchise, to create unique, but still very Assassin’s Creed experience. While I was initially surprised that this was an RPG, I ended up liking a lot of the changes they made to combat and progression. Transitioning from the counter-focused combat to something more resembling Dark Souls gives it a weight that it never had before. In addition, the more Far Car-inspired base camps provided some of the best stealth I’ve played in Ubisoft-produced games. Bayak and Aya, the two protagonists of the game, are also the best characters that the series has ever produced (better even than Ezio or Edward). I also appreciated the direction their relationship goes over the course of the game and how that ties into the meta-narrative of the franchise. Cuphead is a game that I think more highly of now that I’ve had the benefit of hindsight. For quite a while, I had a strong love/hate relationship with this game. One boss in particular caused me a great deal of grief (which I’m told is pretty common for that boss). I also have a couple of issues with the way players can purchase upgrades. But having pushed through all of that, Cuphead is a deliciously challenging game: One that I’m happy to have beaten. 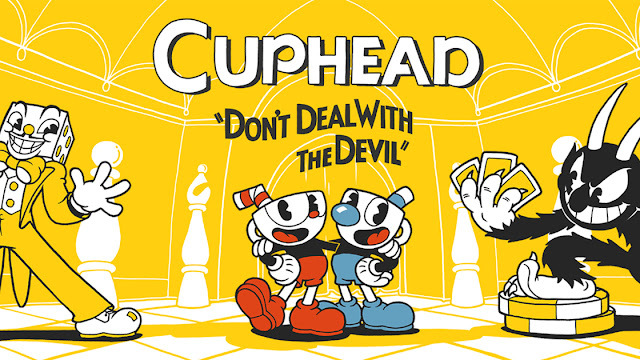 Though I never had the chance to play in co-op, Cuphead offers a great experience in solo play, harkening back to the run-and-gun shooters of yesteryear. 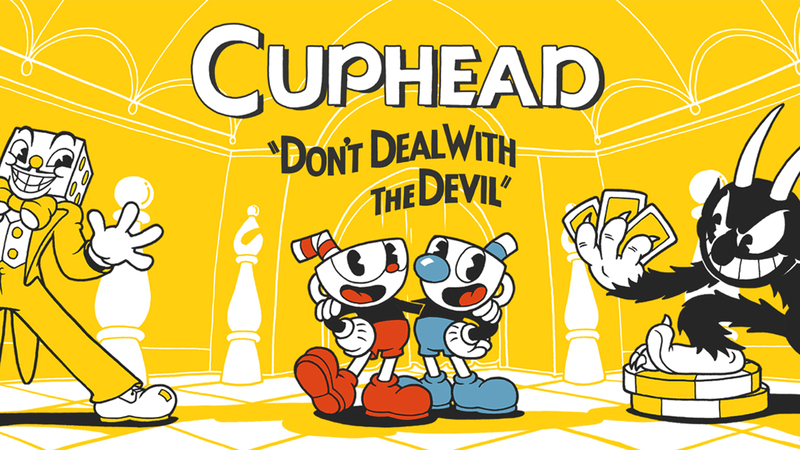 With a decidedly retro art style and soundtrack, Cuphead is firm-but-fair in its execution. I must also give it points for opening up some the most interesting conversations I have had this year regarding art style, difficulty, game design, and development costs. A lot of critics have come at this game from so many different angles. I wish I had jumped on that bandwagon while I still had fresh ideas to add, but I’m content knowing that Cuphead has elevated the critical discourse. 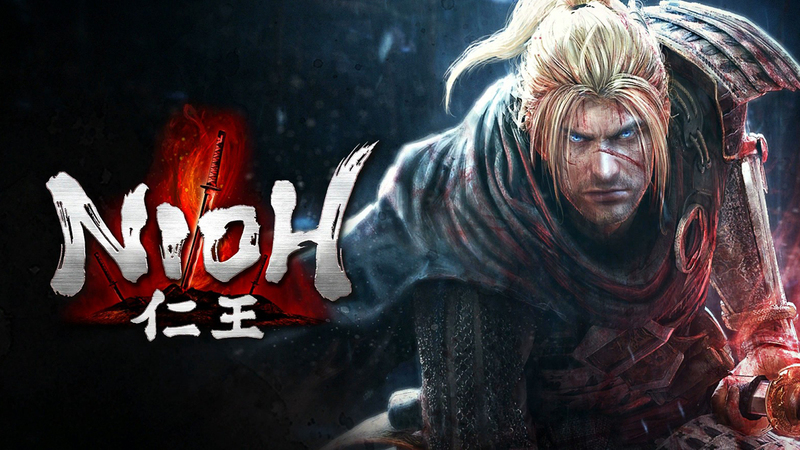 Nioh made no bones about its Dark Souls inspiration. It had many of the hallmarks that Souls games are known for: A currency used to level up is lost on death and needs to be retrieved in subsequent runs, a persistent online that shows players where and how their peers were killed, and an heavy focus on stamina management mid-combat are chief examples of this. But more than that, Nioh wasn’t afraid of taking those mechanics in a different direction. Where Dark Souls combat is more slow and deliberate, Nioh drastically hastens the tempo of combat, making most encounters decisive and highly-lethal. To go along with this, there are mechanics restore lost stamina mid-combo and press the offensive. And in lieu of the vast array of weapons common to Souls games, Nioh has 5 different weapon types and movelists that players gradually expand on and upgrade, much like a character-action game. Other differences like abandoning the open-world in favor of a mission-based structure, the addition of a persistent currency players keep even after death, and the setting itself in 1600s Japan (albeit a more mystical rendition of it) give the game a feel all its own, distinct from, but clearly nodding to, the Souls games that it draws from. My closest friends will be completely unsurprised by this addition to my list. After try and failing to get back into Hearthstone, I was looking for a card game I could casually play without committing myself to. As someone who has enjoyed The Witcher books and games, Gwent entered open beta at just the right time to catch my interest. 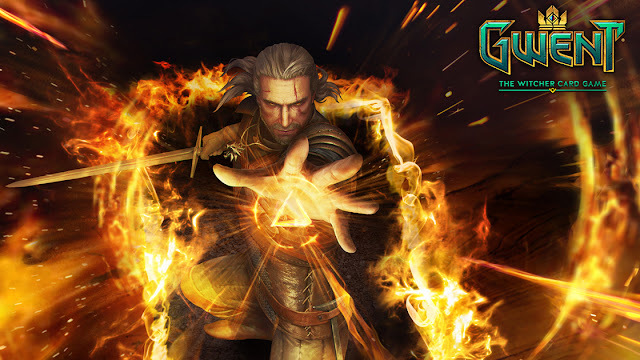 As a collectible card game, Gwent is very unique in its core structure and mechanics. 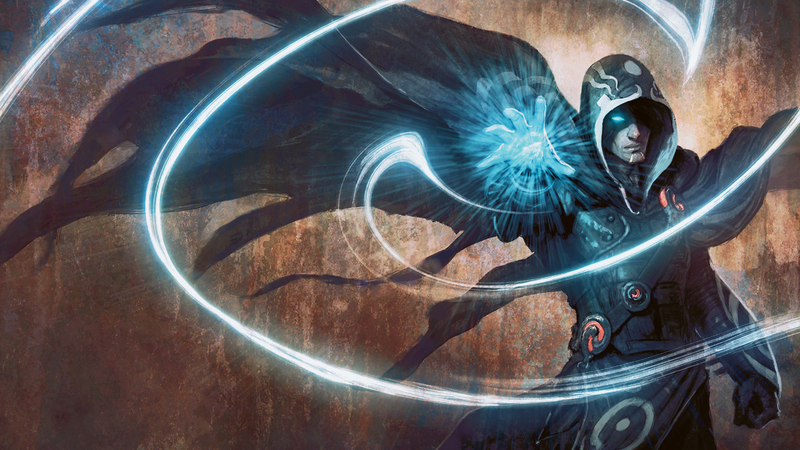 It makes it fairly difficult to talk about it in the context of other card games like Hearthstone and Magic, but that’s more a strength of the game than it is a weakness. You’d honestly have an easier time understanding it by playing it (it’s free) than you would from me explaining it. As someone with a strong dislike of Hearthstone’s randomness, Gwent’s focus on player decisions and strategy won me over so quickly than it deserves it’s spot on the list. 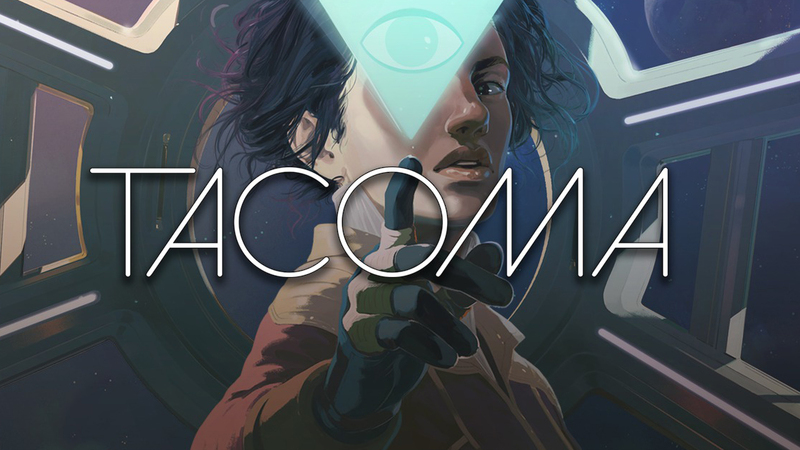 As a story by itself, Tacoma’s space-faring tale wouldn’t be all that special. If you’ve played Gone Home, none of the twists would be particularly surprising. Nothing there is bad, but it just doesn’t stand out. What does set Tacoma apart is the way it presents it’s story. In video games, audio logs and other such documents are commonly used to explore the stories of characters who once inhabited a space, but no longer do. Rather than interact with that character, you hear and read recordings written from their perspective. Tacoma shakes this up by instead showing players a 3D recording of everything that occured in a specific location on the space station they’re exploring at a specific interval of time. Instead of picking up diary entries, players fast forward, rewind, and observe a real time recreation of what happened in that area. They can even see what articles and e-mails the people there were written or viewing at the time. There are a lot of smart ways the creators at Fullbright Studios played with these mechanics, like an early example where players can learn a door’s unlock code by watching the space station’s supervisor punch in the code in the recording. It’s a short game, but the mechanics inside it have potential to expand to many other games. I was a big fan of the original Hand of Fate, a hybrid deck-building card and Dungeons and Dragons tabletop adventure with real-time combat, and this sequel improves on that template in very interesting ways. While the combat still feels like Arkham-lite, the addition of many more enemies and weapon types gave it much more flavor than I remember seeing in the first game. It feels much better to play. In addition, the individual missions/challenges are much more diverse than they were in the original Hand of Fate, where each mission was just a dungeon crawl to the end boss. Having the mechanics recontextualized in so many different ways further encourages the player use a wide variety of cards depending on what they can expect to encounter. Where in the first game players could find one build and stick to it, Hand of Fate 2 presented me with many different playstyles that I needed to make use of. 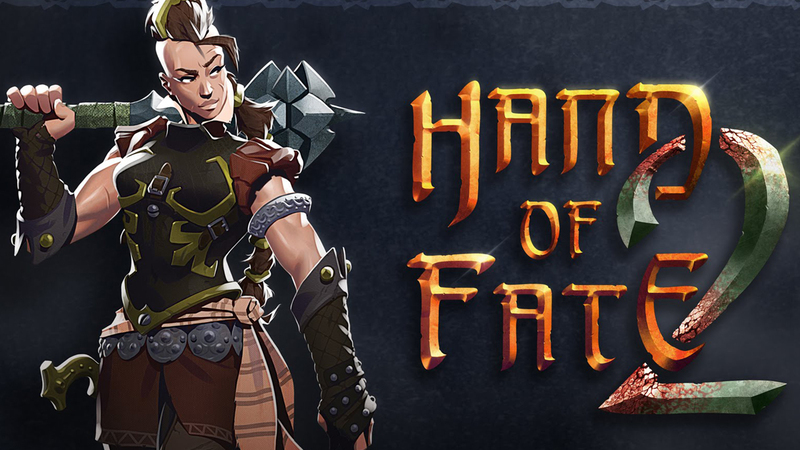 While not perfect, and still lacking an Endless Mode, Hand of Fate 2 is a solid game that I could easily recommend. Hellblade is notable game for so many different reasons. For one, it was an experiment in how game developers could self-publish smaller, less expensive games (in terms of both development costs and retail price). Despite the $30 price tag, Hellblade boasts the level of production that one would expect from a dedicated game development studio. I hope it will serve to encourage other developers to go in this direction. But even if that element is removed from the equation, Hellblade does a fantastic job of exploring psychosis from the viewpoint of a main character who has it. 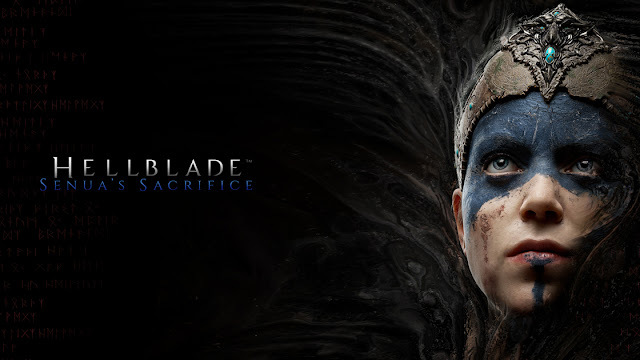 With the use of binaural audio to represent the voices in her head, Hellblade helped me empathize with the titular Senua more than I ever have with a video game protagonist. The attention they paid to medical professionals in the field of mental health and people who have this condition shows. Even if you don’t normally go for these kinds of games, I would recommend that you at least play through Hellblade, then watch the behind-the-scenes video packed in. I found it to be an incredible experience. Even though I had enjoyed Supergiant’s other games, Bastion and Transistor, I was lukewarm about Pyre when I first heard about it. I was told that it was a sports game and almost instantly lost interest. Then Pyre came out, and I was intrigued about what I was hearing. People who typically dislike sports game found themselves drawn into Pyre. For that reason, I decided to try my own hand, I was having a great time. 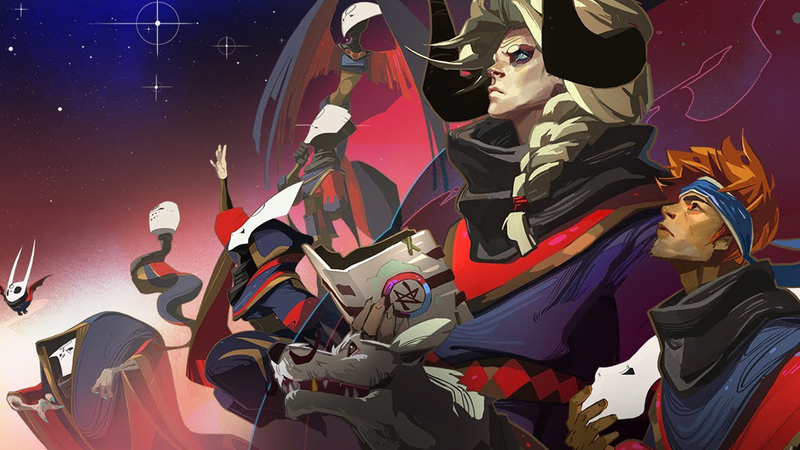 While still ostensibly a magical, steampunk fantasy basketball game, Pyre’s mechanics and control are simple enough to beginners like me to understand. That said, there is still enough depth to them that players that enjoy the real-time strategic elements of sports games are right at home. The world of Pyre, and its characters also held my interest through the course of the game. I was more than happy to get to know my fellow castaways and their backstories, and how they joined the tournament of the Rites. With a high degree of mutability, I could easily see myself playing this game again should the time arise. This game came out at the exact right time for me. 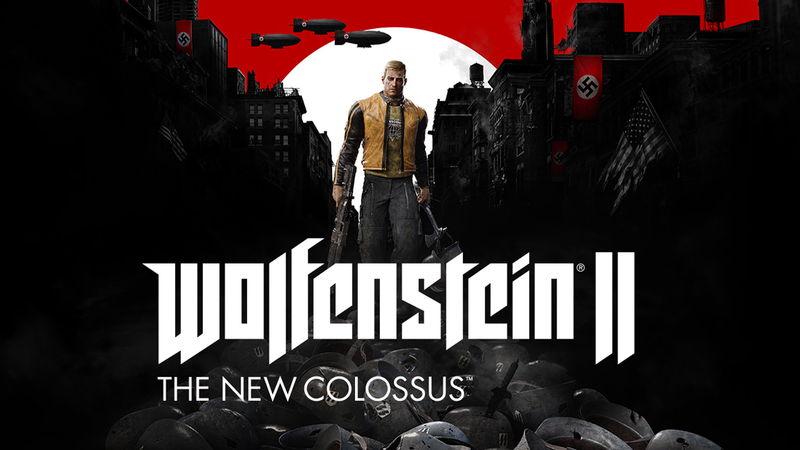 Without getting too far into it, the events of the past year have made me particularly receptive to a game about killing Nazis. The New Colossus gave me that opportunity in spades. While the game was a bit more lethal than I’d like in a Wolfenstein game, I had a blast running through the game’s campaign. But more than that, Wolfenstein 2 has such a strong cast of characters that anyone should be able to find someone that they identify with. None of the resistance are perfect, and some of them are deeply flawed human beings, but they all have something that drives them forward. And without spoiling it for those of you who haven’t played, the intro to Wolfenstein 2 is one of the strongest, and darkest, I’ve seen in a long while. However, it’s not dark just for the sake of being dark. Wolfenstein 2 probably didn’t intend to have a strong statement, but it came out in a time where it’s thematic content charged it with a very powerful message. This spoke to me in a period where I needed it, so for that reason alone it deserves mention on this list. 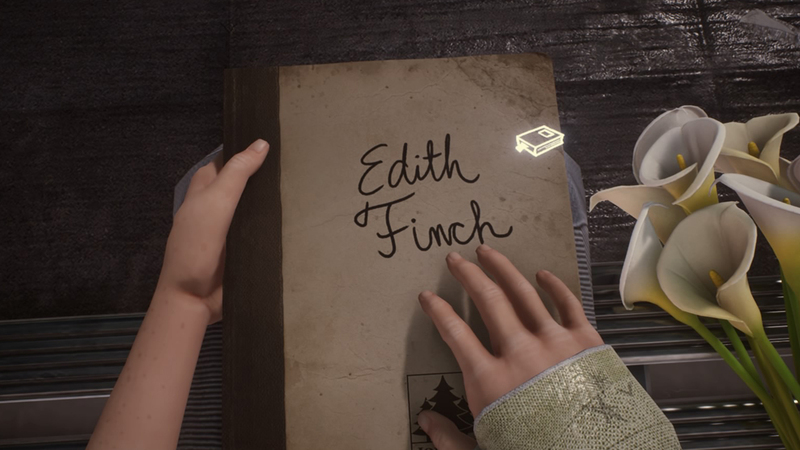 The strength of What Remains of Edith Finch is in its ability to use gameplay as a secondary storytelling device to help players delve into the headspaces of its characters. It’s difficult to talk about it without invoking major spoilers, so I can’t say much more here. However, the way the game blends story and gameplay together is still, even in 2017, unique to it. It’s another game I would easily recommend to just about anyone. 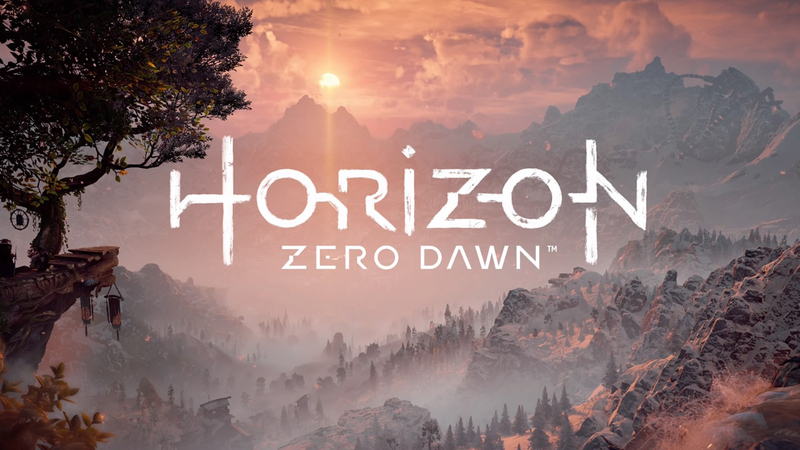 In any other year, Horizon: Zero Dawn would probably have been showered with many awards from major gaming outlets. It’s a well-constructed, polished game that looks stunning. The premise of a decidedly low-tech society combating large, robotic dinosaur creatures was powerful, and they build on that premise in both story and gameplay. It also did a great job at distilling the open-world bloat into a relatively small (for the time) map that was dense with activity. Taking queues from The Witcher, side quests were always more than just “go here and kill things”. They all had smaller stories attached to them, and Aloy (played by Ashley Birch) was a great central character for these stories to revolve around. 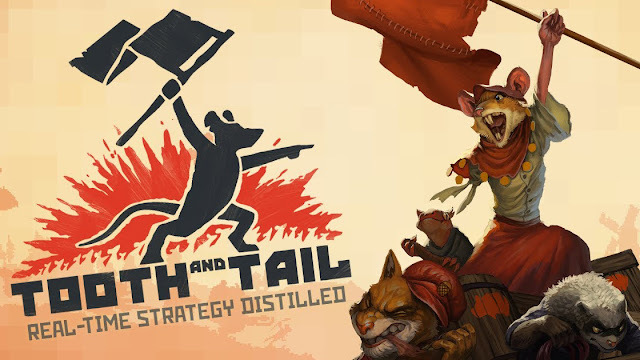 As someone who usually dislikes Real-Time Strategy, I thought I was going to dislike Tooth and Tail. However, its mechanics are setup in such a way that people like me, who enjoy the strategic aspect but dislike how most RTS games control, have a lower barrier of entry. Turning the player’s cursor into a playable character that moves around the map and rallies other units was a smart choice that dramatically changes how the game works. The other clever aspect of Tooth and Tail is that bases have a finite number of resources they can provide before they are spent. While you still lose if your bases are destroyed, you will also lose if you inadequately allot your resources and run out of income. This brings with it the kind of Aggro/Midrange/Control interplay that’s more common to card games. Do you invest your resources quickly and hope to overrun the opponent, or do you attempt to stall and starve out your adversary? Tooth and Tail enables both possibilities, which adds another layer of strategy to the game. Tooth and Tail taught me that while I dislike most RTS, the genre itself isn’t necessarily the problem. 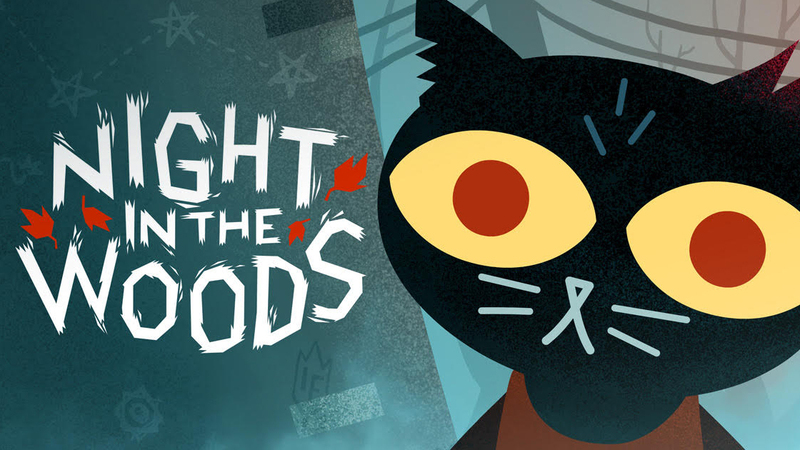 Despite the silly cartoon animals, Night in the Woods is the most realistic game I’ve played this year. As college-dropout Mae Borowski, players hang out with their friends and tackle spooky happenings in small town starving for jobs and resources. The game has a lot to say about how mundane hopelessness becomes for people who live in towns like this and don’t have the means, financially or otherwise, to pursue other opportunities. It hit me on a personal level that I just wasn’t expecting. Something must also be said of Mae and how the game helps its players understand the kind of person she is. Mae is a good, but deeply flawed person, and the choices the game presents reflect her personality. The same can be said of her friends and the other characters met over the course of the game. I found all of these flaws made them relatable in a way that many of characters from other games just aren’t. I’ve met people like them, and in some games I am like them. Having that human element is valuable, and it’s something I’d like to see more of. 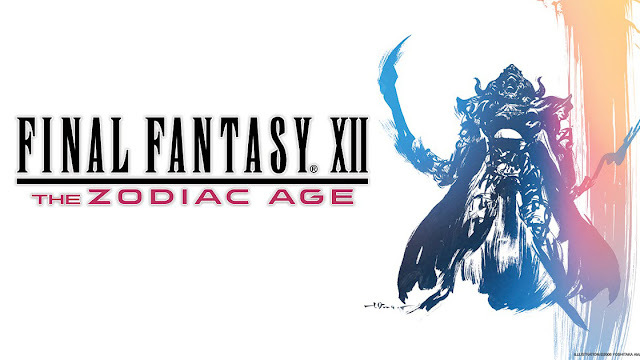 The original Final Fantasy XII was a game ahead of its time. Innovations like the gambit system, which weren’t very appreciated at the time, have come into a new light in recent years. With real-time combat inspired by MMOs, FF 12 has a wholly distinct feel that stands out even today among its more modern contemporaries. It also deserves praise for the more politically focused and motivated storytelling unique to games that take place in the world of Ivalice. Though it doesn’t quite match the level of storytelling seen in Final Fantasy Tactics and Vagrant Story, Final Fantasy 12’s narrative holds its own as one of intrigue, alliance, and betrayal. It’s villains are some of the more relatable and compelling in the history of the Final Fantasy franchise. Even all these years later, I still found myself hooked in, eager to experience this tale. This edition of the game also brings in the highly praised Zodiac Job System from the International Version that never made it to the United States. These changes drastically improve the progression system giving each of the 6 characters a distinct feel instead of carbon copies of each other. They also fixed problems like the legendarily difficult to obtain (without a guide) Zodiac Spear. In other words, it’s the definitive version of the game. Giving how… opinionated I’ve been over the past year about the Kingdom Hearts franchise, I’m sure a lot of you are surprised to find this on my highlights list. Despite the tone I’ve taken, I’m still a massive fan of Kingdom Hearts, and this was a very strong collection. For all of it’s crazy storytelling nonsense, Dream Drop Distance is a fun game to play. Sora and Riku offer similar, yet distinct playstyles, adding some variety. While a bit of the overpowered side, the new Flowmotion system made travelling about each level an extraordinary kinetic experience. There’s also something to be said for the infamously named “Kingdom Hearts 2.8: Final Chapter Prologue HD: 0.2: Birth by Sleep: A Fragmentary Passage”. The name is silly, but the game is not. Though it’s only about 4 hours, it was fun to play as Aqua from Birth by Sleep once more, especially in the new engine. As both a stand-alone and a preview for what we could expect from Kingdom Hearts 3, I was more than happy with this offering. 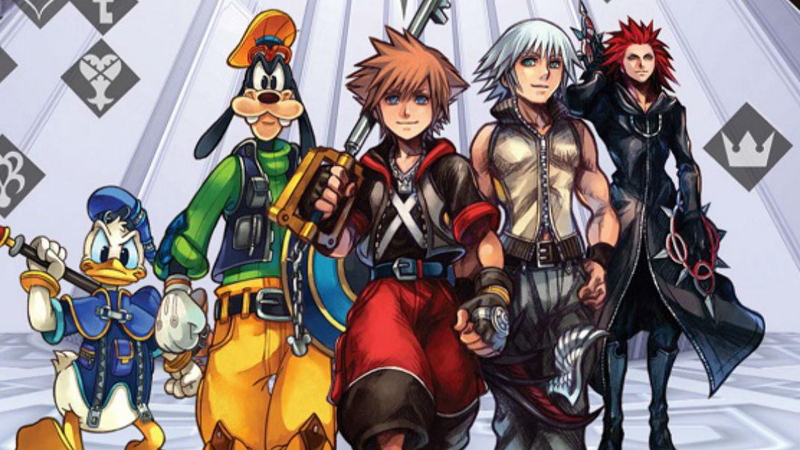 This was a strong package-deal that made me excited about Kingdom Hearts all over again. Nier: Automata was my semi-regular reminder that Yoko Taro is the most delightfully insane game designer I will ever know of. Taking place 10,000 years after the original Nier, Automata tells a compelling narrative of humanity, self-determination, and self-worth that I find myself thinking back on even now, nearly 8 months down the line. To say any more would ruin the experience for people who have yet to play it. But if you haven’t, you owe it to yourself to try Nier: Automata if you are able to. That said, story and writing on that level are exactly what fans of Yoko Taro have learned to expect. 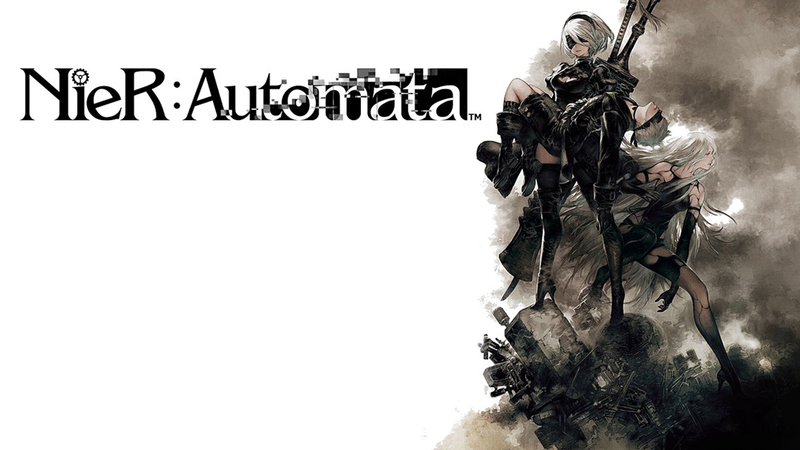 What we didn’t expect, and what set Automata apart from his other games, was the Platinum edge. Platinum Games, with their expertise in character-action, helped bring Yoko Taro out of gutter of mediocrity that his gameplay has been stuck in for a long time. This was a match made in heaven, and the end product shows that quite clearly. I can only hope that their relationship continues of offer games at this level of quality. Echo’s primary gimmick is one of the most unique I’ve seen in a stealth game. As an intruder in an AI controller and operated palace, the player must sneak passed manufactured automatons during both a “lights on” and “lights off” phase. While the lights are on, the palace’s AI tracks every single movement the player makes, from performing sneak attacks on guards to walking through water. This recording stops once the lights turn off, and the system begins to reboot. Once the system comes back online, the automaton-guards incorporate everything the player has done into their routine. If the player walked through water in the last lights on phase, the AI would now be able to do it on the current lights on phase. Fortunately, the system also forgets everything it learned before that, so anything the player did 2 or more cycles ago, but not in the current cycle, is forgotten. This means that players need to manage their actions to prevent the guards from learning too much in a given phase. In one area, I remember deliberately avoiding vaulting over objects so that if I was caught in the next cycle, I would always have that escape route to get away from the guards. It was also shocking the first time I had the AIs sneak attack and instant kill me because I forgot I had “taught” them that. Though the mechanics takes a bit of a backseat towards the end, they do play with it in interesting ways. 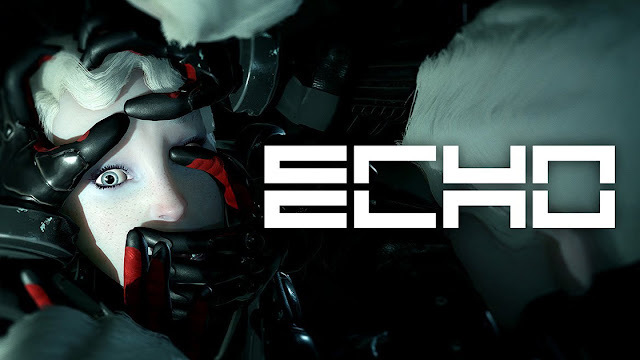 For making me think about my situational awareness and method of approach more than most other games do, and for introducing an intriguing concept to the world of stealth games, Echo left a strong impression on me. Created by Arkane, the team behind Dishonored, Prey does to System Shock what Dishonored does to Thief. That is, it takes the core aesthetic and gameplay ideas from its spiritual ancestor and bring them into the modern age, with the knowledge of game design acquired over the past almost 20 years. 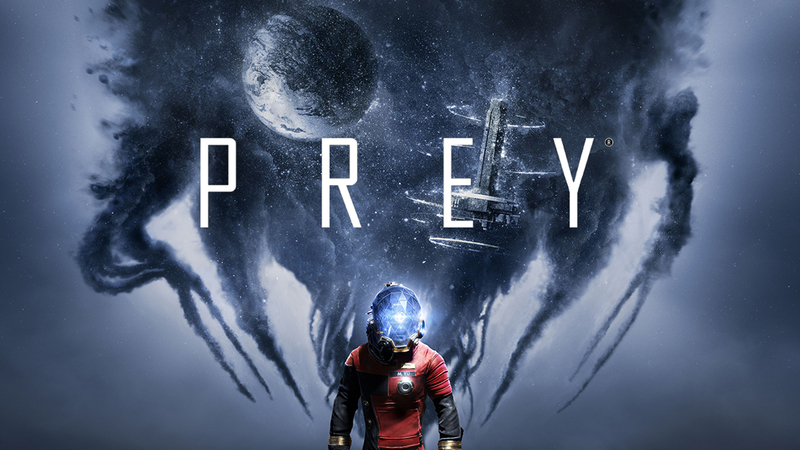 Taking place during an alien infestation on the Talos 1 space-station, Prey has player’s take the role of Morgan Yu as they attempt to both stop the infestation from spreading to Earth and escape with their lives. Without spoiling the game too much for new players, the game’s intro is one the best I’ve seen. It sets the tone and stage for the game so well that it’s astonishing. I was eager and willing to scour Talos 1, learning about the people who inhabited and how they coped with the stresses of their situation. In terms of play, Prey’s chief innovation would be the GLOO gun. As a weapon, the GLOO gun can be used to slow down and trap enemies by covering them in a sticky, adhesive gel. This leaves them open to critical attacks or buys the player more time to escape. But more than a weapon, the GLOO gun is a useful exploration tool. The adhesive can be used to put on fires as a kind of make-shift extinguisher, temporarily halt the flow of electricity so that players can safely cross hazards or hack object unharmed, or form platforms to traverse the environment with less difficulty. Just this single item has so many uses that it becomes a staple in the arsenal. With a vast array of other weapons, skills, and tools, Prey rewards creative problem solving and experimentation in it’s mechanics more than most other games I’ve play this year, challenging my critical thinking. So few games do this that I have to give credit where credit is due. It might not technically be a video game, nor a 2017 release, but this is my list and I can do what I want. I started learning how to play Magic last year, but it wasn’t until this year that I truly started to immerse myself in it. So many people talk about why Magic is a strong game that has endured for ages that adding my voice to that won’t accomplish much, but as someone for whom Yu-Gi-Oh has fallen out of favor, Magic filled a void for me. My only wish is that I had a group I could reliably get together to play semi-regularly. I was almost completely blindsided by Absolver. Up until it’s release, I had never even heard of it. Once it made a name for itself, I figured it would be worth giving it a fair shot. As a vaguely asian(?) monk training on a mountain, players must roam around and defeat 7 major bosses before they may earn the title of Absolver. 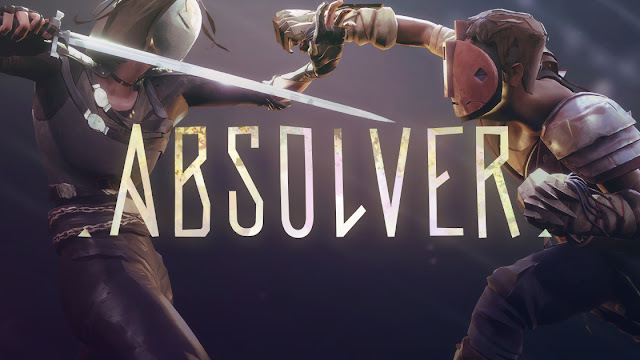 While the story is nearly non-existent, the combat of Absolver is the real draw. Like Remember Me, players create their combos based on the moves they’ve learned before combat even begins. Using a four-way stance system, players decide which combo they will use based on what weapon they wield and what stance they are in. They are several different character types as well, and each have their own method of countering or negating attacks. By performing these counter on incoming attacks, players can learn them, adding them to their own repertoire. It’s a very intricate system with a lot of moving parts, but one that can be mastered. I still have fond memories of fighting against other players in Absolver, even though I only spend a single weekend with this game. The fact that it left such an impression on me is no small feat in the year 2017. I have been told about the Yakuza franchise by close friends of mine for a long time. With the releases of Yakuza 0 and Yakuza Kiwami this year, I figured there would never be a better time to give the series. Thankfully, my friends were all right. 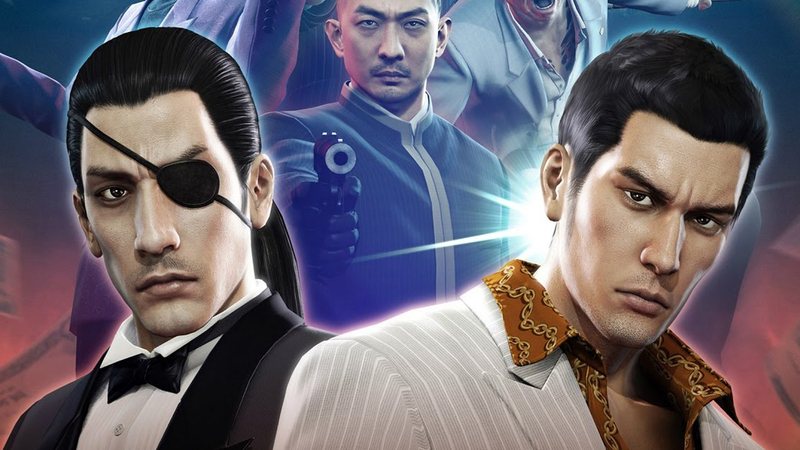 What Yakuza excels at more than any other game is managing its tone, knowing when it can be silly and fun, and when it has to get serious. Rare is it that a game comes where I can spend 30 minutes on a hilarious side quest and then transition into the more serious, dramatic flow of the the main story without feeling awkward. Part of why both games manage this dance so well are the characters Kazuma Kiryu and Goro Majima. Both of them are just as comfortable in a street brawl as they are in an arcade, or going bowling, or racing Hot Wheels. One moment, one of them could be saving a beat-up civilian from a gang of street thugs and the next, they’ll be inspiring a lesbian at a local cabaret not to give up and keep looking for the woman of their dreams. If I had to distill the essence of Yakuza into a single word, I would make that word “sincere”. I wasn’t expecting a game about organized crime in Japan to be such an emotionally sincere and forthright experience, but I’m more than happy it is. 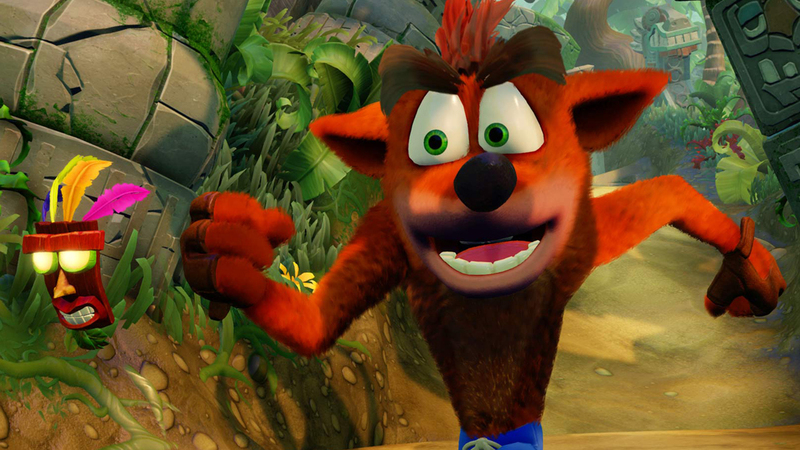 I cannot deny that much of why I like the Crash trilogy does come down to nostalgia. As platformers from the PS1-era, you do need to have some tolerance for the game design tropes of that age to really enjoy these games. That’s not everyone, and I won’t fault anyone who dislikes these games. For me though, I play Crash 2 and/or Crash 3 every single year, sometime in the summer. Those games, the Spyro games, and the Medievil franchise occupy special places in my heart that predispose me games of their ilk. And that, more than anything, is why I can appreciate the work and attention to detail that was needed to translate these games into this new, high definition remaster. Though there is an issue with loading times, I was thrilled to see just how accurate all of these levels and mechanics were to their original PS1 counterparts. It’s weird to end this list on a nostalgia pick, but I won’t argue with the random number generator. And there you have it. This has been a marvelous year in gaming, and looking at what’s in the pipe for 2018, the trend looks to be continuing next year.